Here's something I discovered while Wikipeding my way out from Rosh Hashanah: the Japanese word for "Sabbath", 安息日, has not one, not two, but three pronunciations. Even the Christian community is divided on the issue of pronunciation, but NHK pronounce it ansokubi. In the Bungo yaku seisho 文語訳聖書 ["Literary-Tranlation Bible"], the Kōgo yaku seisho 口語訳聖書 ["Colloquial-Translation Bible"], and the Shinkai yaku seisho 新改訳聖書 ["Revised-Translation Bible"], it has the furigana ansokunichi; in the Furanshisuko-kai yaku seisho フランシスコ会訳聖書 ["Franciscan-Translation Bible"] it is ansokujitsu; and in the Shin kyōdō yaku seisho 新共同訳聖書 ["New Interconfessional Translation Bible"] it is ansokubi. In Japanese, when "日" comes after a two-kanji word it is usually pronounced -bi, and so we use ansokubi in broadcasts. Makes sense! There are exceptions that use nichi or jitsu instead, like jokeinichi 除刑日 ("day of suspended punishment", day during the Edo period when no punishments were carried out due to holidays or other calendrical events) and taisaijitsu 大祭日 (the year's biggest festival day at a given shrine) — but most of them are either directly related to the (continental) lunar calendar or Buddhism. 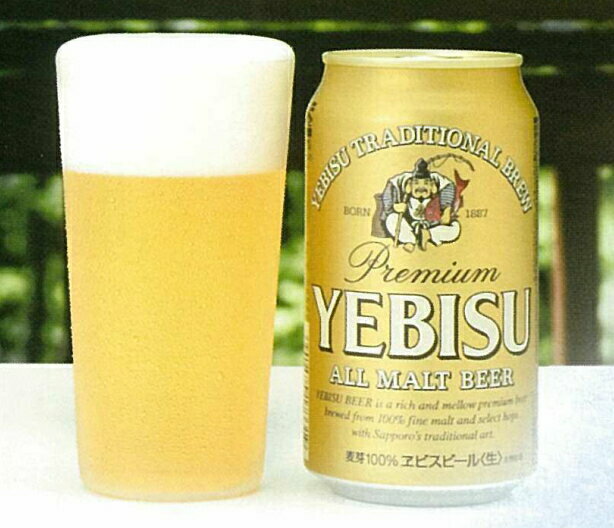 I think it's fair to say that (a) commonly used and (b) culturally post-Meiji terms tend to end in -bi instead. Incidentally, back during Christianity's first pass at Japan, the word for "Sabbath" was domingo (from the Portuguese for "Sunday"), and I believe that 主の日 ("Lord's day") has seen some use too. "I heard that shamisen are covered in cat skin, and that's why it sits on your knee, but what kind of skin do they use on tsuzumi?" "Monkey skin. That's why it sits on your shoulder." "Hmm... so what about the ōtsuzumi?" "The ōtsuzumi? Wait, that goes under your arm, right? Must be sea-bream skin." Since the Okinawan sanshin (ancestor of the shamisen) was covered in snakeskin, I suppose the traditional way of holding it was to stand on one leg, up on a chair, and throw the instrument as far away from you as possible while screaming. Note that the above contains another non-translation trick: literal translation + hyperlink. The punchline is completely opaque unless you are familiar with the Seven Gods of Fortune and/or pay unusually close attention to beer cans, and rather than elucidate or adapt it I am simply providing the tools for you to research the details yourself. In this form, it's not so much a joke as a joke kit. "We're so glad you could come, but we don't have much to offer — just one thing; my wife plays wind a little." GUEST "Well, what a treat! May I request an air?" GUEST: "My, and what was that?" WIFE: "That was Gotō Matabei firing the cannon in Ōmi Genji ." GUEST: "Ha, ha! A very palpable hit!" WIFE: "Now here's the ninth act of the Chūshingura , where Kakogawa Honzō appears disguised as a komusō." GUEST, UNABLE TO ENDURE SMELL: "I gave at the office!" So the joke here is that the guest is responding to the wife's odorous person-impersonating-a-komusō impression by using the phrase you would normally employ to get a komusō to go away. My problem as a translator here was finding a natural way to render this concept in English. "Not today, thanks" or similar seemed too general: you need something specifically directed at beggars, or at least buskers. Ultimately, I failed to think of something good before my allotted blogging time ran out, and so I played it for anachronistic laughs instead — the last refuge of a scoundrel. Courtesy of Mulboyne, a story at Asahi.com entitled ""Samu! ", "Sugo!" spread rapidly in recent years: Japanese usage opinion poll (「寒っ」「すごっ」数年で急速に広がる　国語世論調査). (Similar article at Mainichi.) Seems that the 2010 Agency for Cultural Affairs opinion poll on Japanese usage found rapidly increasing acceptance of adjectives used in stem-only form (or rather, stem + /Q/, like samu! rather than samui, mijika! rather than mijikai. About half of Japanese people were not aware that endangered languages/dialects could be found in Japan (which is kind of baffling); having been made aware of this fact, 49.6% of those surveyed agreed that measures should be taken to prevent their disappearance, 17.8% thought it couldn't be helped and nothing should be done, while 29.5% declined to decide either way. 31.9% of respondents think that official government documents should use the Japanese-style comma "、" even in horizontally written text, while 30.0% are OK with using the "," (which is the current official style). 23.3% of respondents do not think it a good thing that English is a global lingua franca, but don't see what is to be done about it. When speaking to recently arrived non-Japanese folk, 61.2% of respondents try to speak slowly; 57.8% choose easy words; and 48.8% use gestures and diagrams. 6.8% mix in words from their interlocutor's native language. Only 3.1% speak exactly as they usually would. Fully three quarters of respondents feel that romanization should represent the difference between long and short vowels (so that, for example, 大野 and 小野 don't both end up as "Ono"). This is up from 70.8% ten years ago. Similarly, 56.9% are in favor of writing "Kōbe" and 53.0% in favor of "Ōsaka", up from 40.1% and 38.0% ten years ago. Long-vowel consciousness is rising in Japan. Interestingly, 10.8% of people are in favor of "Kobe" while 19.6% are in favor of "Osaka"; the reason for this difference appears to be because 11.6% are in favor of "Koube" (which is not an option for Osaka because its long vowel is two おs, while Kobe's is おう). Only 1.5% are in favor of Koobe, while 6.7% are in favor of Oosaka. This is actually a really fascinating topic that I would like to read more research about. Noticed in bookshop yesterday: Mai no michi: Hanayagi Yoshijirō Jiden 舞の道—花柳芳次郎自伝 ("The Way of the Dance [mai 舞]: The Autobigraphy of Hanayagi Yoshijirō [V]"). Alternate title in English: "My Way". I am a vocal critic of the whole "pay ludicrous fees to access academic journal articles" model. I think that it is straight-up immoral to erect artificial barriers around and charge for access to this material — or at least the vast, vast majority which was given to the journals by the authors for free in the understanding that the journals would then disseminate it as widely as possible. As per, you know, the foundational ideals of academia. But! I am not one to publish people for doing a less bad thing than they were before. So I was very, very happily surprised by JSTOR doing the right thing and opening up their pre-1923 archives to the public. They're like a bakery that still has monopoly power and caters only to the rich, but now puts unsalable goods out back for the poor instead of throwing them away. It's a step in the right direction and they have my thanks. I guess for sciency types this old stuff is more or less worthless, but for us liberal artsoes, it's still good! You want to read an 1899 article about Hawaiian games? I got you covered. 50. Pu-kau-la.—A trick of twisting a cord around the fingers or tying it around the arm or leg in such manner that, while seemingly secure, it comes off with a slight pull. The name is from pu, and kau-la, a rope. Pu or puu among other meanings is explained by Andrews as "to cast or draw lots (a Hawaiian custom formerly in practice) by using a knotted string." This is a common amusement in Japan, but my Japanese acquaintances have no particular name for it. Dr Bolton tells me that in Austria-Hungary a similar trick is played by Bauern Fänger and is called Kettelziehen. A single note in Western music is quantized raw material, nothing more. Music is composed by arranging this material. Conversely, in the shakuhachi music of the Fuke shū, a school of Zen Buddhism, the player seeks to express the entire world in each note. Representing the subtleties of these altered intervals on the five-line staff is difficult. To an extent this is a sort of cultural triumphalism: there is obviously more to Western music than what's on the staff as well, or else the development of synthesizers with precise timing and pitch would have been the End of Musical History. But it is true that the kind of music most people think of when they think "Western art music" (Bach, Mozart, Beethoven) is about structure and pattern to a much greater degree than most Japanese art music (and especially shakuhachi music). One obvious difference is harmony: obviously a huge deal in the West, in most Japanese traditional music it's either absent or very simple. In completely unrelated news, at the end of May the Diet library opened a publicly accessible archive of "historic recordings" (歴史的音源) whose copyright periods are all complete. Here's their intro page. So far most (all?) of the recordings seem to be old '45s rather than, you know, tape reels from field anthropologists or anything (I think that 音源 might be a term of art in this regard), but who's complaining? Here's a Miyagi Michio 宮城道雄 setting of a Shimamura Tōson 島崎藤村 poem called "Enishi" (ゑにし, "Affinity") a.k.a. "Aki ni kakurete" (秋に隠れて, "By the autumn hid")1. Miyagi himself is on Koto, Yoshida Seifū 吉田晴風 is playing the shakuhachi, and the vocals are by Satō Chiyoko 佐藤千夜子. Stands at my window in this evening gloom. This is a fine example of Miyagi's modernizing/Westernizing tendencies, by the way, and not at all of the "note by note" thing I was talking about up there. Even the singing is straight-up Euro-Art. Probably the most "Japanese" part of this, apart from the instrumentation, is the occasional diversion into miyako-bushi-esque scales, e.g. around "暮陰に".